Dyna-Ski Boats: Information Inquiries & Reply Troubles? Information Inquiries & Reply Troubles? 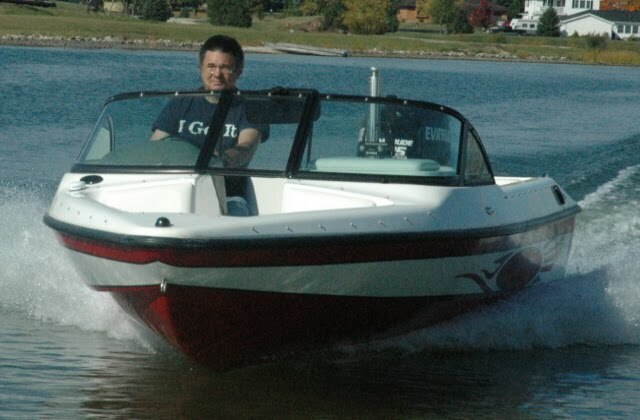 Dyna-Ski Boats gets a fair number of inquiries year round. Most of our inquiries come via email although we are getting more phone calls lately it seems. I like to keep things simple so the website and blog are structured accordingly. We don't have a form to fill out or feel the need to ask any background questions. Dyna-Ski won't share your address. It is good if you provide a little information and a general location though. The Dyna-Ski office phone (715-854-7501) will be answered by voice mail 95% of the time. If you want a phone call please include your phone number with the voice message you leave. If you want a phone call please include your phone number on your email inquiry. I'm getting better at remembering to check the phone system it seems. I have been on the internet for a very long time although I did not help invent it like a former vice president claims to! Over the years I have experienced that email is not 100%. So when you make an inquiry please never assume that we got the inquiry unless you get a reply. I always reply to inquiries and usually fairly quickly like within a day or less. I reply no matter what the request is. I usually follow up on the inquiries a day or two after I send our the initial reply and/or pricing information requested. The info@dyna-ski.com address is monitored by my webmaster who is also a good friend of mine. All the inquiries are forwarded to my home address. I normally send out all replies from my home address and not the info@dyna-ski.com address. Currently the replies have a lot of text so they could end up in your spam folder. I'm not sure how to avoid spam filters or other security features on computers & tablets. I have model specific emails for each of the models available from Dyna-Ski boats although I am rethinking this method for several reasons. Dyna-Ski does not put prices on the web since we seldom build the same boat twice. Customers get a custom built to order boat from Dyna-Ski so cookie cutter pricing does not work at all for a custom boat manufacturer. Prices and costs change a lot in the boat manufacturing business so even having a 30 day price window is getting tougher. So if you asked for more information from Dyna-Ski and did not get a reply please check your spam folder first. If you don't find something with "Dyna-Ski" in the title then please send us another email. We have encountered all kinds of interesting problems with email system and the internet over the years. With more people using the system the chance of failure of a "free" system is more likely. If all else fails and it has in the past you can call us and leave a message. I will call you back again if I get the message. Technology is great however it is not perfect and fool proof! The other day my internet service provider was down in 16 states . . . . . OUCH!